"I was around thirteen years old, I had a lot of friends, and I was about to do my primary year six exam. While I was preparing my mum told me, 'we have to leave the country but we cannot tell anyone'." More than forty years after Naser Haghamed left Eritrea with his mother and siblings, one of his strongest memories is being unable to tell his friends that he was preparing to leave them behind. 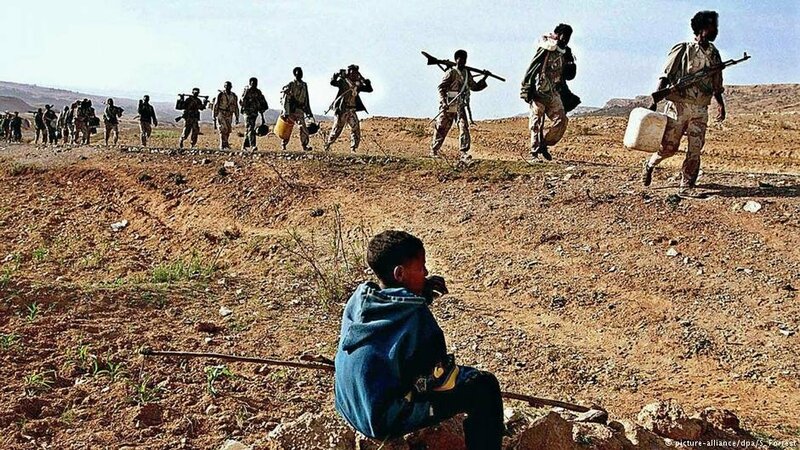 Eritrea was in the middle of a war with Ethiopia, and thousands of Eritreans were trying to escape to neighboring Sudan. "I was captain of a football team and there were so many things that I was emotionally tied to. I just had to resign from the team and say nothing. We were scared that if the authorities knew, they could arrest me and arrest my mum. My dad had already left the country a year before, also in a very secret way." "I was told the next morning, 'just get up early and leave the house'. I wasn't told the full plan. I stayed in my uncle's house… The following morning just after dawn we left the city, walking to the nearest village where our uncles met us with donkeys. And we started riding to another city before we got a lorry to take us to the border of Sudan. The journey was about four days long. We were traveling only at nighttime and sleeping (during the) daytime because we were scared of being bombed by the Ethiopians." At the Sudanese border, Naser’s mother gave the guards an invented reason for wanting to enter the country, and promised to return. It worked – and Naser, his mother, brothers and sisters were free. In the years that followed, Naser Haghamed traveled from Sudan to Saudi Arabia, Libya and then to Egypt before an uncle offered to bring him to the UK in 1982. Despite his long struggle, the polite and plain-speaking man, now in his fifties, insists that his experience was not nearly as difficult as what today's refugees have to endure. "Now hundreds of thousands are unable to move, the camps they stay in are not well catered for, especially when it comes to education, children and the protection of women. And then you have some of them trying to cross by sea to Italy, to Greece, and endangering their lives. We didn't have to do that in those days." 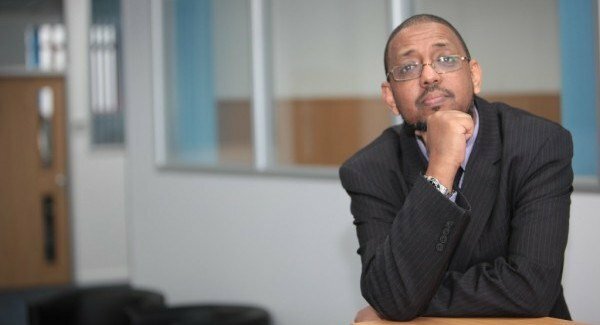 Since 2016, Naser Haghamed has headed Islamic Relief Worldwide (IRW), one of the world's biggest humanitarian NGOs. IRW's headquarters are in Birmingham, England, and it has branches in over thirty countries, most with large Muslim populations. 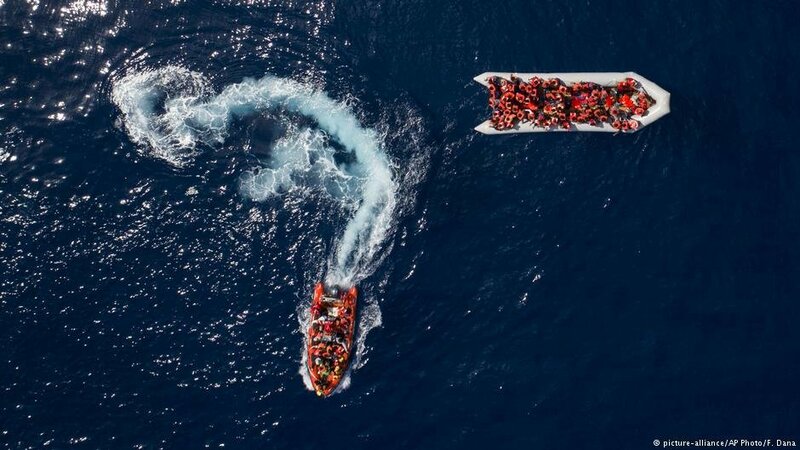 But despite an annual income of more than €140 million – the majority from private donations – the organization has struggled to pick up the slack when governments, often for political reasons, were unwilling to provide support to those seeking asylum. "Some governments, because they know some of these refugees might stay for a long time, they use it as a deterrent not to provide any services. They want them to go back to their home," says Haghamed. "Local or international NGOs end up stepping in and supporting those refugees because they have nowhere to go. Their countries are usually unsafe, so whatever the national government thinks of the situation, they are not going back." 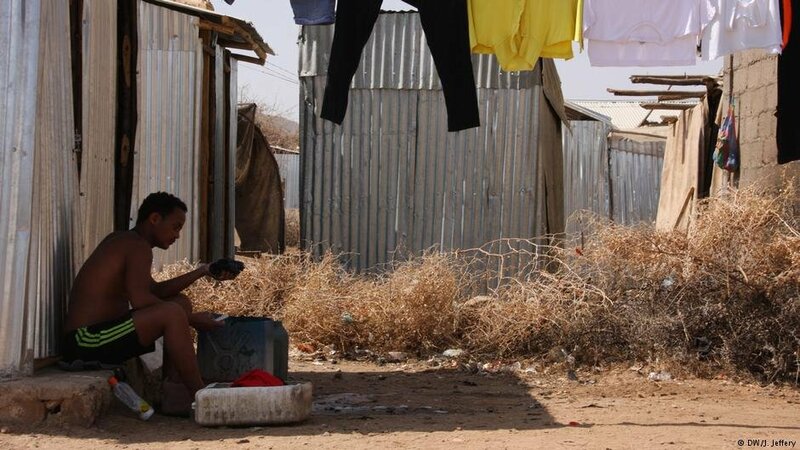 With Eritreans now free to leave without even showing a passport, Ethiopian refugee camps are filling up. By October, Ethiopia hosted an estimated 175,000 migrants from across the border. Some have not registered, reportedly because of rumors circulating that they would be sent back to Eritrea if they did. "I am really concerned," Haghamed says. "It's sometimes reported that Eritrea is the second-highest 'refugee-exporting country', if you want to call it that. Number one is Syria, number two is Eritrea. 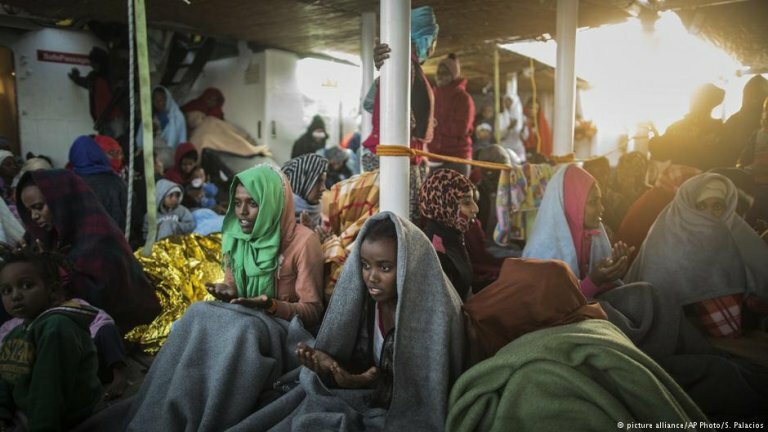 Eritrea's only got about 5 million population, and when you think that the migration started in the 60s and it continues on a monthly basis in the thousands, I just sometimes wonder who is left inside the country." One of the main reasons for leaving Eritrea has been compulsory military service, which is supposed to be limited to 18 months, but in reality is indefinite and often extends over decades. Women conscripts are "frequently" abused and raped by military leaders, including their commanding officers, according to Human Rights Watch. National service evaders are imprisoned and, Amnesty International reports, security forces are authorized to shoot to kill those who try to leave the country without permission. The UN says that, despite the peace deal, the Eritrean government has yet to confirm that it will limit conscription to 18 months. Many people say they have no plans to return, fearing that they would end up in prison or worse. As a result, the country is emptying out, and Haghamed warns, its economy – one of the least developed in the world – is at risk. "This is the difficult part. There are nearly half a million refugees in Sudan. Obviously others like myself have continued their migration to other countries, to the Middle East and to Europe, and the youth, especially the youth, continue to leave the country. So economically the country will be crippled, because it depends on the youth to develop the country economically."